I have a keen love of history and especially the history of Christ’s Church. I have always enjoyed looking back at the Scottish Reformation since Scotland is the land of my birth and heritage. It saddens me to see the condition of the Church in present day Scotland. Scotland, however, produced some of the great reformers such as George Wishart and John Knox. It also has a history of many who would die for their faith and therefore receive the Crown of the Martyrs which is promised in James 1:12. I would like to introduce you to two women named Margaret who are now with their Lord in Heaven. They are worshipping Him eternally with the Promised Crown of Life because they would not kneel down to an earthly king. The two Margarets would only acknowledge one king and that was the King of Kings. The following is something I wrote years ago about our martyred sisters in Christ. The Wilson family, we are told, was a family of good standing. Gilbert Wilson “was in good outward circumstances; and his farm, which was excellent soil, and in the best condition, was well stocked with sheep and cattle. Both he and his wife were conformists to prelacy, and regularly attended the ministry of the curate of Penningham; nor could the government lay anything to their charge. Their children, however, which is rather remarkable, were, at an early age, not only well acquainted with the principles of religion, but, contrary to the example of their parents, ardently attached to the persecuted faith, and would on no consideration attend the ministry of the prelatic incumbent of the parish.” So in lies the storyline of our young martyr. As our young exiles are wandering through the hills, King Charles II suddenly dies and with his death there came a time of relaxed persecution. The two sisters at this time took the occasion to venture to Wigton to visit some of their suffering acquaintances, particularly Margaret McLauchlan. We now come to our second Margaret. It is not necessary to foray into the details of their trial for their fate was foreordained by the King’s Court. The charges that were brought against them and for which they were found guilty of were notoriously false. None of our heroines had been within miles of either Bothwell Bridge or Ayr’s Moss. It is, besides, to be noticed that at the time of the battle of Bothwell Bridge, the two girls were mere children – the one only about seven years of age, and the other only about eleven or twelve – while sixty-five years had passed over the head of the aged widow; and it cannot for a moment be supposed, that two girls of so tender an age, or that an humble inoffensive female, who had nearly reached the utmost limits of human earthly existence, could be concerned in that insurrection. The same remark applies to the skirmish at Ayr’s Moss, which took place only a little more than a year after the rising at Bothwell Bridge. 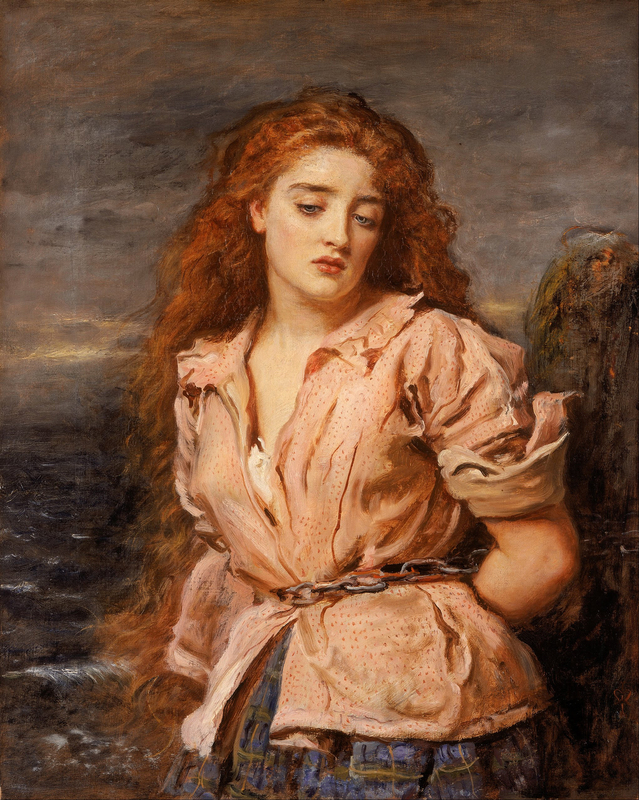 As the penalty for not taking the oath was handed down Gilbert Wilson was able to give a bond of one hundred pounds for the release of his younger daughter Agnes who thus narrowly escaped her sister’s fate. The penalty for not taking the Abjuration Oath, which was taken to be treason, was to be shot upon the spot for men. Women were spared being shot but were to be drowned and this was to be the fate of the Margarets. “The sentence pronounced upon them was, that, upon the 11th of May, they should be tied to stakes fixed within the flood mark in the water of Blednoch, near Wigton, where the sea flows at high water, there to be drowned. They were commanded to receive their sentence on their bended knees; and refusing to kneel, they were pressed down by force till it was pronounced. But they were by no means daunted; they heard the cruel sentence with much composure, and even with cheerful countenances, accounting it their honor that they were called to suffer in the cause of Christ. “Margaret Wilson’s friends did all they could to prevail with her to swear the abjuration oath, and to promise to attend the ministry of the curate of the parish in which she lived, but without effect; for by no solicitations would she surrender her convictions of truth and duty, whatever it might cost her. During her imprisonment, she wrote a long letter to her relations, highly honourable to her character. It was full of the deep and affecting sense which she had of God’s love to her soul, and expressed an entire resignation to His sovereign disposal. It also contained a vindication of her refusal to save her life by swearing the abjuration oath, and by engaging to conform to prelacy; written with a cogency of argument, and a solidity of judgement, far above her years and education.” “The aged Margaret McLauchlan wavered, however, she on the appointed day of her execution, May 11, 1685, was tied to a stake placed nearest the rising tide. The older woman now manifested great fortitude. “As the waters overtook the matron martyr the younger woman was implored by her friends to give in to her persecutors, yet she continued to pray and recited verses from the 25th Psalm. Her executioners continued to try to break her and she was “Dragged half-dead from the waters, [and] urged again ‘to pray for the king’…. She had already been overwhelmed in the horrors of death; the black devouring floods were hissing at her feet, as if greedy for their prey; life, and the sweets of life, inviting her one way; death, in one of his most wild and horrific forms, yawning to swallow her up the other way. Will not her heart fail? Will not the strain upon her nerves be too great for her to bear? Her mind must be bewildered. Surely for life, for sweet young life, she will grasp at any straw that is offered. Not so the holy, heavenly maiden. Amid the roar of the waves, the groans and lamentations of the people, the mingled flatteries and threats of the persecutors, and amid the awfulness of the pains of death, half-endured, her intellect was calm and unclouded, her judgment firm and unshaken, her thoughts as clear, and her language as precise and careful as if she had been a professor in the chair of theology, and not a poor maiden of eighteen in the midst of her martyr agonies.” Returned to the water, she was chained again to a stake and drowned as the tide came in with her long auburn hair floating on the water like a halo. The women refused to take the Abjuration Oath renouncing the covenants.